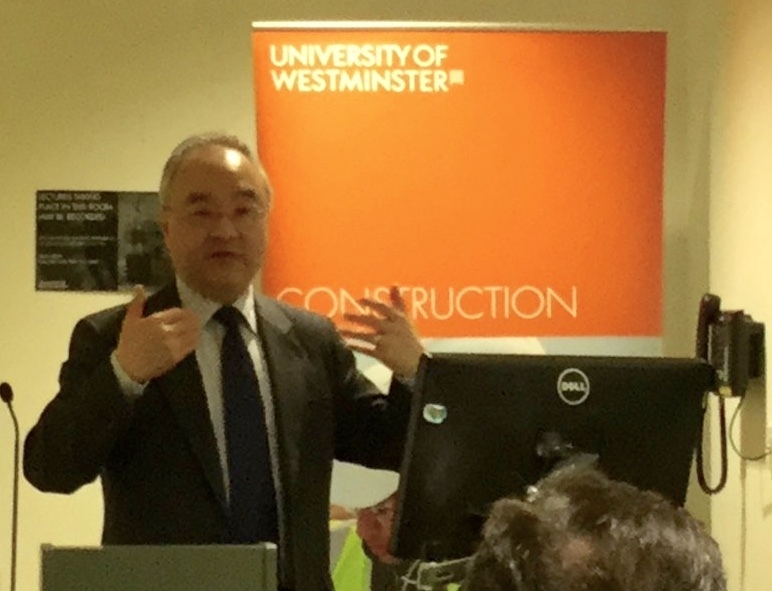 On Wednesday 17 of February, The Worshipful Company of Constructors sponsored a lecture on Managing Sustainability in Construction at the University of Westminster. It was a free lecture open to all construction professionals and academics that were interested in sustainability and improving carbon productivity in the construction process. 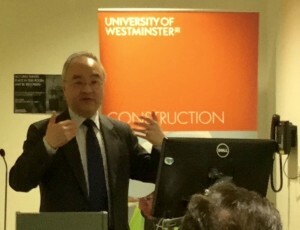 Dr Uly Ma of Greenfile Developments Ltd, who published a book called “No Waste – Managing Sustainability in Construction” was the guest speaker of this event. A brief history of the evolution of sustainability was explained. It all started in 1973 with the first Oil Shock, more than 40 years ago! And over the course of these past 40 years, there have been attempts to solve the problem of sustainability, pollution, CO2 emissions, climate change, etc. Unfortunately, we are still not there yet, we haven’t been able to completely solve this problem even after 4 decades. Energy efficiency is the easiest out of the three that we can accomplish in our workspace but mostly in the construction industry. We use energy in everything we do; everything either requires energy in order to be produced or requires energy in order to be used. This energy if applied perfectly, can be used effectively but if something goes wrong, this energy is wasted (which is what happens most of the time). When energy is wasted and lost, we are throwing away money into the bin and we are not getting all the “goodness” or value of it. 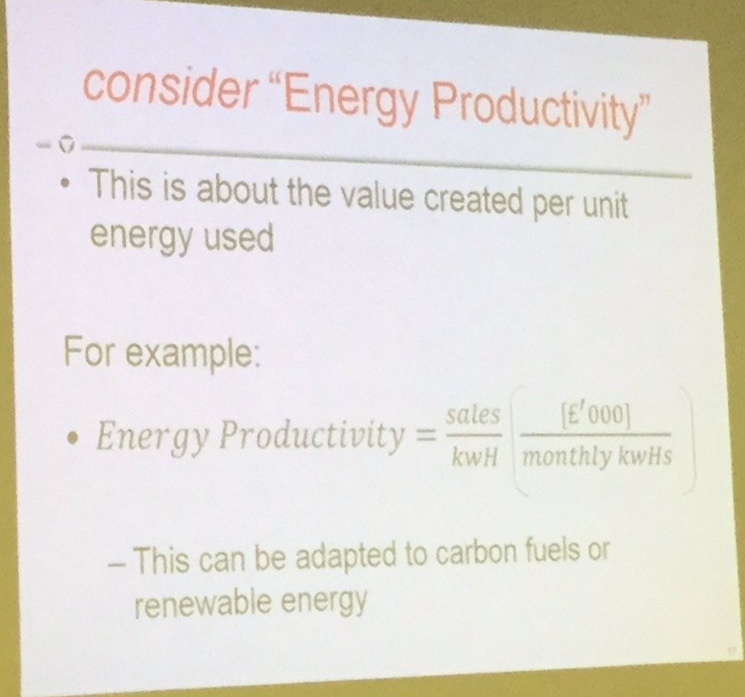 Therefore, we need to consider “Energy Productivity”: value created per unit of energy used. 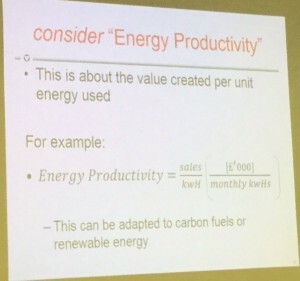 This formula can be adapted to carbon fuels or renewable energy, but the question that was debated a lot was how easy it is to benchmark this formula in construction projects. 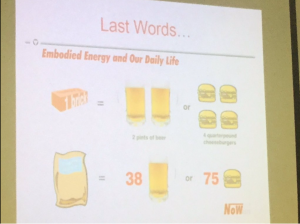 The whole lecture was focused on waste as the key theme – a very “Toyota-esque” paradigm. There are 3 components of carbon effectiveness: Technologies and Capabilities, Behaviour Change, and Management of Processes. These components are linked and need to be deployed in an integrated manner for a sustainable solution. Technologies/Capabilities: If you are not certain which technology is best for you – it is likely that you will not realise the full benefits. But there is help, protocols like Soft Landings are there to ensure that the designed results are optimised in reality. Behaviour Change: Needs to be encouraged greatly through effective communications (in the right context) that will allow opportunities to learn (without ridicule), to try (without fear), to innovate, and to show off. 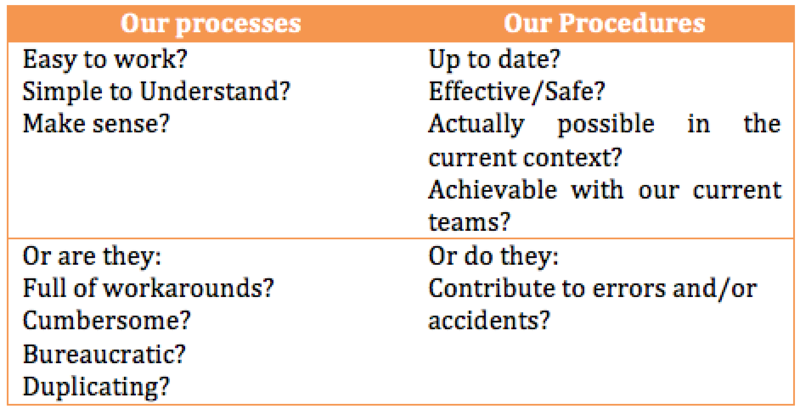 One of the key points was that we need to focus on minimising waste at each process step were hidden wastes occur such as: time waste, over ordering, not working to plan, errors and mistakes, etc. Unfortunately, even small waste like tearing 5 bags of cement or breaking 10 bricks by one single worker at a construction site does accumulate when every worker does the same. Waste adds up and impacts overall effectiveness but most importantly it impacts on the Energy Productivity of a project. What we should do is try to do more with less or improve our energy productivity. Establish a commitment to do sustainability – and tell people about it. 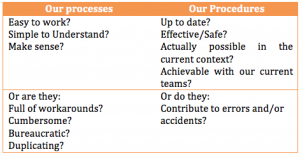 Reduce wastes from your processes. 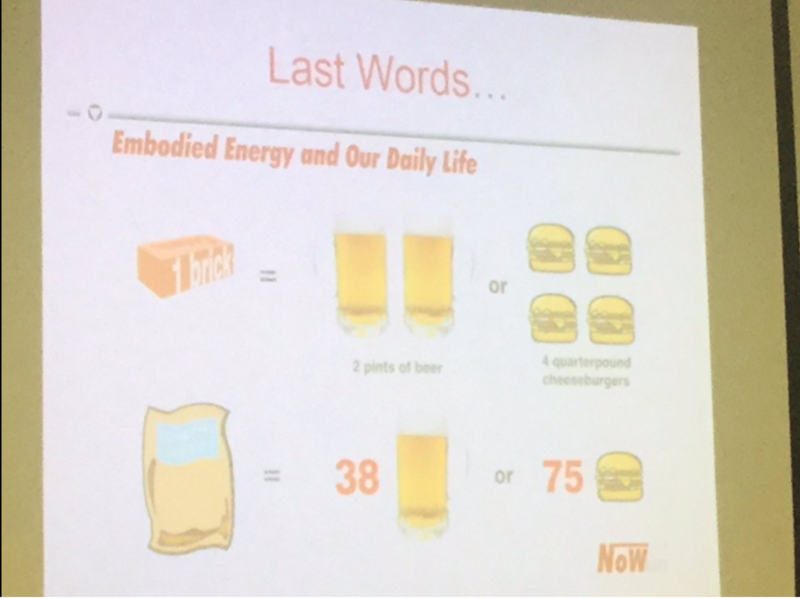 We would never throw 4 cheeseburgers to the bin or worse, spill 2 pints of beer. Therefore, we should think the same way in the construction industry about materials and try not to break hundreds of bricks or sacks of cement because it is actually a waste of energy, money and productivity. We need to think in a more sustainable way and be more productive.